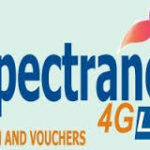 Spectranet is Nigeria’s first Internet Service Provider to launch 4G LTE internet service in Nigeria. 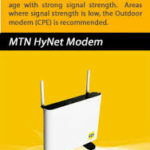 It is one of the fastest, reliable and affordable broadband Internet services in Nigeria. 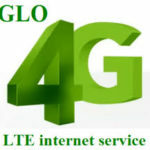 They currently have service available across Lagos, Abuja, Ibadan and Port Harcourt and as time goes on more cities and states would be added to their 4G LTE network. Spectranet Selfcare portal is a platform specifically designed for Spectranet subscribers to manage their data plans by themselves. You can buy new data when your current data has expired, check your data balance or expiry data and even monitor how much data you’re using and even the devices connected to it consuming much data, if you’re using it in a office or sharing it with one or more people. 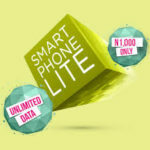 The SelfCare portal is also accessible when you don’t have a subscription or when it has expired and you’re connected to the Spectranet network, this way you can easily buy or subscribe for a new data plan. – Login with the default Username and Password you were given when you purchased the Spectranet. – After logging in with it, you’ll be prompted to change your password, once change it, make sure you remember it, as it’ll be used for your subsequent login to the portal. Input your username and your password and click on the sign in button. You will receive a temporary password instantly via SMS and Email that you registered with. Enter the temporary password and you will be able to access your Self Care account. Change the temporary password to your preferable password. Step 2: When you’re in your account screen, click on “refill” on the left sidebar. Refill your account using webpay: On clicking on this option, you’ll be taken to a new page where you’ll be asked to enter the amount you wish to pay and in what currency (The default currency is Naira). Enter the amount and click submit, you’ll be taken to webpay’s portal. On the portal you’ll need your ATM details to enable you pay smoothly online. NB: Your Current plan is the previous plan you subscribe to before it expired or present data plan which you subscribed to and if you wish to subscribe for it again at the same cost, data volume and the same validity period. Click on the current plan button. 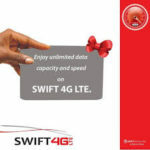 While, a Different plan is new data plan which you wish to subscribe for, that is entirely different from your previous or present data plan. It usually costs more or less and has more or less data volumes with different validity periods.